When taking pictures, one of the biggest frustrations one can experience is camera shake, which often happens as a result of the way the camera is held at lower shutter speeds. Properly hand-holding a camera can drastically reduce human-induced camera shake and result in many more sharp images and keepers. In this article, we will discuss a few different ways to hold a camera, which will hopefully reduce and potentially even eliminate unwanted blurry images when you are shooting in the field. As you may already know, many cameras today come with specific features to help avoid the dreaded camera shake. Some cameras have image stabilization built directly into the camera sensor, while others might have image stabilization available on the lens, and some even combine camera and lens stabilization to get the best of the two worlds. In addition, many modern cameras today come with the ability to automatically control the camera ISO (often referred to as “Auto ISO“) in order to keep the shutter speed fast enough for the focal length one is using (for more details see reciprocal rule). While using such features can certainly help in reducing camera shake, it does not hurt to take additional measures to learn how to properly hand-hold a camera and that’s exactly what we are going to do next! 1) What is Camera Shake? Camera shake occurs when the camera is unintentionally moved while the shutter speed of the camera is too low to capture a perfectly still image. 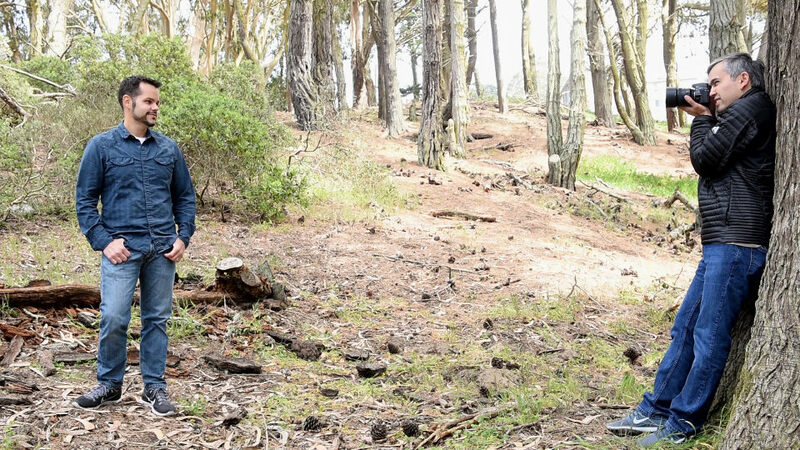 The resulting image either looks blurry, or shows traces of “dragging” of the subjects, where multiple outlines could be visible around the subjects. Camera shake due to slow shutter speed typically takes place in low-light conditions when there is not enough light for the camera to yield a sufficiently bright image, or when exposure settings are set up incorrectly. For example, it is often needed to open up lens aperture as much as possible and increase camera ISO when shooting in indoor environments, because the amount of ambient light is too low. And when there is not enough light, the camera’s shutter speed must be slowed down to yield a properly exposed image (to understand the relationship between the three exposure variables, please see our article on Exposure Triangle). As you can see, the longer the focal length of a lens, the bigger the likelihood of seeing camera shake, since every movement is so much more amplified. If one understands this relationship well in practice, it is possible to avoid camera shake by keeping the shutter speed equal to the focal length of a lens, which is known as the Reciprocal Rule (I highly recommend that you give this article a read, since everything is explained in detail there). Please keep in mind that the reciprocal rule is only a guideline to avoid camera shake – if one does a poor job at hand-holding a camera, much faster shutter speeds might be required in order to keep blur out of images. Therefore, it is important to know how to properly hand-hold a camera! As you can see, you can take a few simple steps to make sure that your camera is steady on your hands. Place your feet perpendicular to your subject: when hand-holding a camera, you typically have more balance when standing perpendicular to your subject, since there is less back and forth movement of your body compared to when standing parallel to your subject. If you have ever shot with an automatic rifle, you know that this standing position works very well, since there is quite a bit of recoil caused by the gun and standing sideways makes it easier to absorb each shot. So if you apply the same principle to shooting with a camera, it will surely work! Push your elbows into your sides: you want to avoid being in a “flapping” position with your elbows, because they will constantly move, causing your hands to move as well. Instead, tuck your elbows in and rest them against your body. Your body will serve as a resting spot for your elbows, which will not only help stabilize your hands, but also let them rest better when holding heavy gear. Hold camera at balance point: with every camera and lens combination, there is always going to be a point at which the camera setup won’t be neither front nor back-heavy. If you put your hand right at this point and let the camera rest on it, you will achieve good balance, which will make it easier to hand-hold the camera for extended periods of time, since you don’t have to fight the weight on either side of the hand. Hold camera to your face: while some of us might prefer to use the back of the camera screen to frame images, shooting with your arms extended is always going to introduce more camera shake. If your camera has a viewfinder, you will find that holding the camera to your face will make it easier to stabilize the setup. Push the camera to your head: once your arms are close to your body and fully tucked in, you can help stabilize the camera even more by slightly pushing the camera against your head. Bonus tip – breathe out right before squeezing the shutter release: Again, this trick is known to those who have served in the military or have experience shooting long-range rifles. If you slowly breathe out right before squeezing the shutter release, you have a higher chance of avoiding camera shake, because your body is not moving as much as it does when you heavily breathe. You need a camera with a grip: this one is a must, because a regular camera is too short for you to be able to rest it on your shoulder while you are trying to look through the viewfinder. The grip solves this problem. Rest the left corner of the grip on your left shoulder: put the corner of the grip to a comfortable area of your shoulder. I personally prefer putting the corner of the grip on the softer front side of my left shoulder, but you should experiment and see where the camera rests comfortably for you. Look through the viewfinder with your left eye: if you are used to look through the viewfinder with your right eye this one might take some time to get used to. Wrap your left hand over your right hand: you don’t want your left hand just dangling off your body – you want to wrap it over your right hand, which helps push the camera further into your shoulder for extra stability. Push the camera to your head and breathe out: same tips as the previous technique. I personally found this technique to be very useful in situations where I have to use very slow shutter speeds without having to increase ISO or open up my aperture. If you do everything right, you should be able to achieve ridiculously slow shutter speeds – I have once managed to take a full second exposure without camera shake with the Joe McNally grip! Detach or reverse lens foot: heavy telephoto lenses typically come with the own tripod feet, because they are too heavy to be dangling off the camera mount. I personally never found it comfortable to hand-hold lenses by holding them by the tripod feet, especially when shooting for extended periods of time (try doing that on a full day wedding!). Not only will it cause the camera to move left and right, but it will also bruise up your hands. Instead, either remove the tripod foot completely (if you don’t use it), or reverse the lens foot so that it faces up. Find the best balance point: with the lens foot reversed, you can comfortably find the area where the lens and camera perfectly balance on your hand. Place your feet perpendicular to your subject: same as above, but becomes even more important with longer telephoto lenses, since the setup is heavier. Push your elbows into your sides: again, you want your hands tucked in tight to your body to avoid camera shake. Another great way to significantly reduce camera shake when hand-holding a lens is to find a stable object that you can lean against, such as a tree, a wall or a car. This completely eliminates the potential to rock back and forth when taking a picture, thus allowing one to shoot at very low shutter speeds. Not much to add to this technique – make sure that you still have your hands tucked in, with the camera pushing against your head for extra stability. Stabilizing your breathing will also help in getting a sharper image, so give it a try! In the above image, I am leaning against a tree while photographing John with an 85mm lens at around 1/50th of a second, which worked out great to get a very sharp image. One technique that we did not cover in the video is how to hand-hold a camera while sitting on the ground. While many of us rarely use this technique, it can be very useful in practice when photographing subjects from a lower angle, such as when photographing children. Once again, if you have weapon experience, you already know the best postures for proper hand-holding – either pushing your elbows against your knees while sitting while holding the camera in the center, or using the kneeling position, with the left elbow resting on your left knee, while your right knee is on the ground. Both techniques work really well, although many would probably prefer the kneeling position more to the sitting position to keep clothes clean. Keep in mind that when shooting with cameras and lenses that have built-in image stabilization, the reciprocal rule and the techniques discussed above might apply slightly differently. First of all, image stabilization can do a tremendous job in reducing camera shake by compensating for different unwanted movements and motions, sometimes by up to 3-4 stops, which is a lot! So if you find yourself struggling to take sharp images at low shutter speeds and you have an image stabilization feature, make sure to turn it on. By default, you should always have image stabilization turned on when shooting hand-held, unless your shutter speeds are so fast that you don’t need it (in some cases when using shutter speeds faster than the focal length of the lens, image stabilization might actually work against you). Also, when shooting hand-held with telephoto lenses that have image stabilization, you should make sure to stabilize the setup first by half-pressing the shutter and letting image stabilization kick in for a second or two before taking a picture, as described in this article. Although camera shake is commonly experienced when shooting hand-held, it can also happen when shooting from a tripod, where such factors as wind, tripod stability and shutter release by hand can cause unwanted movements. We have already written a detailed guide on how to reduce camera shake on a tripod, so please give that article a read – there is plenty of information there! Since we as photographers always strive to capture sharp photographs with plenty of detail, camera shake can be very frustrating to deal with, so I hope you found the above article useful. If you have any other tips to avoid camera shake when hand-holding lenses, please let us know in the comments section below! Great topic! One thing you haven’t mentioned that I often use in low light situations is to turn on the 2 or 10 seconds Timer instead of pulling the trigger which sometimes results in shake already. The countdown also helps controlling the breathing to the exact moment of the shot. Gus, I don’t know if I would like that option, since it is hard to estimate exactly when the camera will take a picture, but if it works for you, then that’s great! Thank you for sharing! I agree with Nasim that if it works for you then you shouldn’t change it, but that definitely is not preferred for me. I often have the timer on for tripod shots to avoid shake from depressing the shutter button (usually don’t bother to attach remote shutter release), and then forget to turn it off when I shoot again handheld. I was curious if this aided in stability so I did a test in which I did about 20 shots with a couple second timer on and then the another 20 without the timer. This was done in a difficult low-light situation (about 1/10 sec with a 50mm lens if I remember correctly) to make the hit rate low. The timer method clearly produced more blurred shots due to camera movement for me. I think – as Nasim suggested – that it was due to having to hold the stable position for a longer amount of time before the shot than you otherwise would. For the normal shot you only hit the shutter when you are most confident that you are stable. Some very useful tips Nasim, thanks and kept up the good work. You are most welcome Ikhlaque, glad you found the article and the video useful! Hi Nasim, its nice to read this topic. Although it is most common yet back to basics always help. Joe MCNally technique is really interesting & I will definitely try this out as I have a battery grip on my camera. I wouyld like to know that if I want to use the normal technique of holding camera( with battery grip) then how shall I held the lens/ camera part with my left hand ?….as the battery grip makes the bottom portion of the camera uneven, I often find it intriguing to position my left palm & fingers ! I hope your guidelines on this aspect. Thanks Nasim. Its really a nice post & I am now confident that I will be holding the camera in correct way. After reading your review I had bought Nikkor 24-120 mm f/4 instead of 24-70 mm f/2.8 & am enjoying it. Keep on this fantastic lessons on photography. It helps us , self taught photographers a lot. We never got time to attend academies of photography & Photography Life remains our genuine ‘University’ that helps us to be self taught/ self made Photographer. I would like to read your views & details lesson on ‘Back Button Focussing’ ; & ‘Reducing Noise in Adobe Camera Raw & CS6 ‘. Good tips! I find that the reciprocal rule doesn’t really work for me in practice. Using my 35mm lens, I can’t take sharp pictures with 1/30-1/40 – actually, I never really go under 1/100, to be on the safe side. Maybe I could improve on this with a little bit of practice. Judit, I think if you practice a good hand-holding technique, you can get those shutter speeds working for you. I have been often able to go lower than what the reciprocal rule says, since I follow the ways of the technique from my days of shooting guns in the military. Controlling breathing and steady standing can be very useful in getting sharp images! I believe that the reciprocal rule primarily applies to long focal length lens since the shutter speed should be kept equal or greater than the focal length of the lens, which could be a big problem for low light photography w/ zoom lense. For a 35 mm lens, if you have to drop your shutter speed below that #, either you need a tripod or increase your ISO significantly. Judit, what kind of subjects are you shooting? At 1/30 to 1/40, perhaps you are experiencing motion blur rather than camera shake. 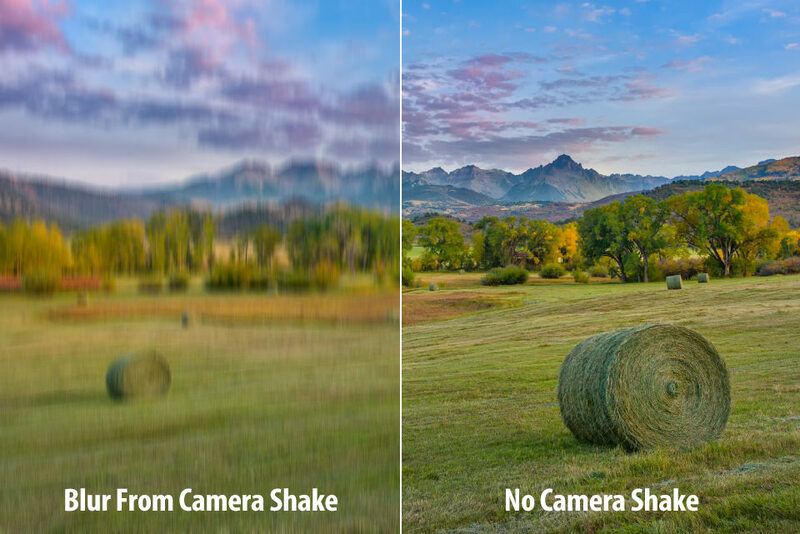 If you are shooting static subjects, such as landscapes, then you are definitely experiencing camera shake. However if you shoot subjects that move, such as people, then your problem can be either camera shake or motion blur. Light and dark on the first day. Sky and water on the second day. Earth, sea and plants on the third day. On day 4 he created the sun and the moon and the stars also. On the fifth day he made all the fish and swimming things in the sea and waters. And the birds in the sky. Day 6 God made all the animals and creeping things and mankind. Male and female he made them. Then He rested on the 7th day. There, all done. fully explained. On PL, nogals, too! Beautifully told. Really positive. Thanks a lot. Glad you liked it sir! I also I noticed that sometimes OIS makes picture blurry and I am not talking about disabling OIS on a tripod.. It happened a few times with Fuji’s xf 18-135 and with xf 10-24 (on a separate subject, I also did not like how soft xf 18-135 was, so I sold it, but it is not an OIS issue). I was was hand-holding these lenses and a few times OIS heavily blurred the 1st shot, but then the following, 2nd shot came out sharp, as expected. The 1st shot was so heavily blurred that it would came up better if OIS was disabled. It almost feels that sometimes the 1st picture gets blurred when OIS mechanism gets engaged in the standby mode. It is nothing serious because it does not happen frequently, but I have seen it more than once and I was surprised. Due to my very unsteady hands, I set my Nikon cameras such that a half-press of the shutter button initiates both OIS (lens VR) and metering, then I press the AF-ON button to acquire focus. I prefer lenses that have noisy OIS and autofocus mechanisms because when their hearable noise and/or their tactile mechanical kickback settles, I know that fully depressing the shutter button will very likely capture a sharp image. Both OIS and autofocus are motorized servo systems. They are mechanical implementations of feedback and control theory that have been optimized for speed at the expense of accuracy. The essential point to understand, then to always remember, about these servo systems is that they are not designed to improve the accuracy of each and every shot; they are designed only to improve the long-term-averaged accuracy of at least many hundreds of shots. In other words, for each single-shot capture of a scene, the probability of the servos being inaccurate is a highly-significant, unwanted, design trade-off; but, for multiple-shot captures of the same scene, the probability of the servos being able to deliver at least one razor-sharp image is their forte — their raison d’être! You wrote “… before squeezing the shutter release”. Yes indeed! Learning how to squeeze, instead of stabbing, the shutter button is essential. Stabbing the shutter button induces a rotary torque plus a vertical force on the camera system, which results in movement of the 3D optical axis while the shutter is open, in addition to that from the user’s camera shake by itself. I’ve written the above mainly because many people have asked me why their cameras so often capture blurred images. They were so frustrated with this problem that they believed the marketing hype that their only solution was to purchase one of the latest expensive cameras. IIRC, Joe McNally is left eye dominant. So, the technique came to him naturally as using the right eye in the traditional way was not natural for him. I am very right eye dominant, and so I am a little jealous of his ability to stabilize the camera in a way which I cannot. For left eye dominant people, or those who can reverse their eye and brain, it looks to be more stable. David, thanks for dropping a comment! I am also very right eye dominant, but every once in a while when I need to use very slow shutter speeds, putting the camera on my left shoulder and looking through my left eye works out great. I would not use this technique every day though, since looking through with the left eye is not natural for me. When I first saw the Joe McNally method I thought it would work, but once I realized you had to use your left eye it no longer became an option, since I am blind in my left eye. I thought maybe I might be able to turn my head enough to use my right eye, but unfortunately it puts to much stress on my neck trying to turn it that much. Just to awkward and unnatural feeling. I try bracing myself against something when possible to minimize camera shake, but at 66 I find I am not as steady as I used to be. Thank you for a great article Nasim. I often use a 600mm telephoto lens for birds. I find it very useful to rest the left hand against a tree, post or corner of a building. Make sure the left hand is well forward towards the lens hood. Another technique is to fold a jacket or other clothing and place on a wall or motor car to support the camera. WIth very long telephoto lens, especially if its heavy one (more than 2,5kg), i suggest holding it somewhat like a rifle with same technique. One leg in front of you, stepped out, hands elbows as close to your body as possible and as close to each other, as possible. Legs under a little angle, creating like a body spring. This way all the vertical shake is compsensated by the legs “springing” and the horisontal shake is compensated by taking your hands elbows as close to each other. Definetly support lens from under it, not from side, not even from side under angle toward underside of the lens. Support directly under it. I found this technique very useful for me when i tried long telephoto lenses (150-500mm etc). Great info. I found that for static shots using the mirror-up option helps a lot avoiding camera shake. I also like the way Thomas showed to hold the Tamron 150-600 by turning the lens support near the shutter button and using your third and fourth fingers to hold the support screw helping to stabilize the lens. 3., right hand or left hand to rest camera on, I am confused, and slightly dyslexic I can’t work it out. Thank you for all your work, and positive relationship to what you are doing. Great idea for a post – very useful. When we think about photography, we think eye, we think gear, we think post .. but hands are such a crucial part. Finally getting the attention they deserve! Thanks for this useful article. For portrait photography, to get desired composition I sometimes find myself searching for an angle where I need to hold camera between waist and chest level. Sitting is too low, standing knees bent and looking through viewfinder is not comfortable. This is where I have difficulties to hold camera tight. If light conditions are OK for reflections on screen, I use live view option. However this time I keep the camera further in order to see screen better. Then I realize the weight of 70-200 mm lens better. I like my camera but I wish It had waist level viewfinder option too, at least a digital one. I’ve seen a technique that uses the large knuckles of the spread out index and middle finger of the left hand to support the bottom of the lens instead of the entire hand. The left elbow is pressed against your side as you pivot your body to the left towards the subject. The concept is that the knuckles are a more stable connection point than having the finger tips touching the gear. Does this make any sense to you? Great article Nasim, it sums up all my experience but the McNally grip method is new to me and most welcome. Some of the methods could be applied the super long telephoto lens as well. Something off the topic needs your option as I could not find the answer from your review of the 800 5.6e article, I recently find its front element does not repel water as good as the 400 2.8e. From Nikon’s product description, both lens use same fl elements and their front has fluorine coasting, so they should have same capability of repeling water and dirt. Am I missing something here? Great article, Nasim! But I would just add one more advice. One may wonder but there are people who still don’t understand that using continuous shooting mode really helps getting at least one of N shots sharp. This “technique” charges you additional shutter counts and some time to delete bunch of blurry shots, but definitely is more cheap than buying camera with better sensor and/or stabilized body/lens! Vladimir, the spray and pray technique, you describe, ought not to be considered by a photographer who is professional or serious about their craft. A good photographer is able to produce good results consistently, not through some spray and pray technique, hoping for the best. When a client hires a photographer, surely they are not thinking to themselves: I hope the photographer has a lucky day, on my dime. It seems you didn’t understand me. For example, you want to shoot static scene handheld in dim light and understand that with desired aperture you can get sharp image only on high ISO that would make image noisy. But shooting continuous in this case can allow you, maybe, to double the shutter speed => use lower ISO => get cleaner image. 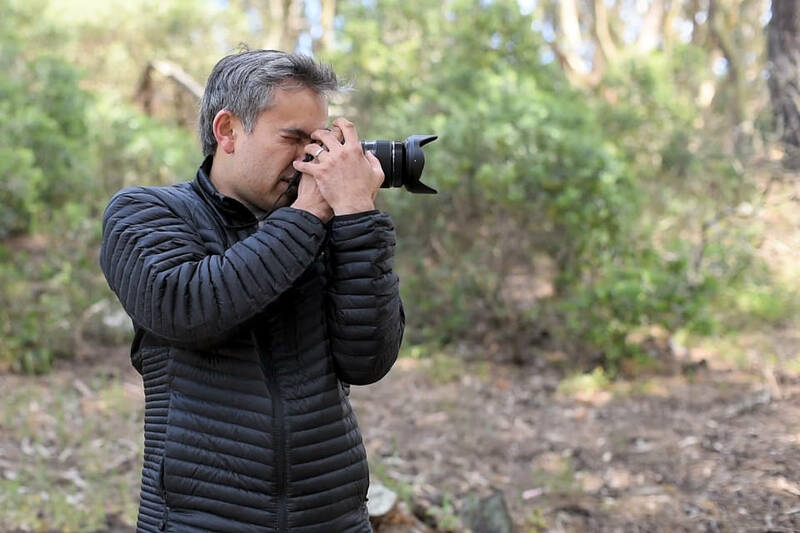 Surely I didn’t mean shooting moving people with low shutter speed and praying to get unblurry images, but using of continuous shooting mode is a great addition to tips described in the article (like holding breath and using more stable pose). I understood what you said, Vladimir. The technique you originally described, and continue to describe, is known as “spray and pray”, which is not a technique that a professional photographer would give any credence to. If you don’t believe me, then google “spray and pray” and see for yourself what the photographic community thinks of this. I should add that spray and pray should not be confused with bracketing, which can have a place in the professional’s tool kit. When doing a Google search for “spray and pray”, you may want to refine the search by adding the word “photography”, as this terminology is used in other contexts, such as the military for example. It was you – not me – saying that I offer/advocate S&P. Pls reread my second message: I clearly defined that shooting in continuous mode can help one to get better image of some _static scene_, but you continued exposing me as unprofessional photographer assuming that I’m offering something else. When I want to take a shot of sunset (when light can go away at every moment), or my beloved sleeping cat (who can wake up at every moment), or my friends in dimmed cafe room, etc. I SURELY firstly try to take sharp shot(s) with fast shutter sacrificing image noise (of course, I choose shutter time according to focal distance and by abilities to stand still while holding the camera), but when I see that I’ve got one, I immediately try to do series of shots with longer shutter time trying to get image with fewer noise or larger DOF (choosing what is preferable). And I think it’s kinda natural. So, all I wanted to say – shooting bursts (using continuous mode) allows one to get better image when nothing else can help (but is not guaranteed to help in some specific situation), so don’t forget about it, that’s all. It’s better to get one nice shot of dozen instead of getting nothing in situation when your skills/gear/anything doesn’t allow you to do it in one single shot. btw, I briefly googled “spray and pray photography” and read some articles, found that using S&P is very controversal topic, plus I see that sometimes people put different meaning in this phrase and start pointless disputes. For the sunset, you can use a tripod, use an even slower shutter speed, and still get the shot without utilizing continuous burst mode. For the friends in the cafe, you can add light to the scene (such as with a speedlight) and even benefit from faster shutter speeds with raising the ISO. For the cat, you can use a tripod with relatively slower shutter speeds, without incurring motion blur as the cat is sleeping. Or you can add light. Either way, you can nail the shot with just one photo. Overall, burst mode ought not to be utilized as a crutch in the place of better techniques that will yield consistent results that are at least as good, if not better. My previous comment has a typo. It should read without (not with) raising the ISO. You may be shocked, but not every photographer always carry a tripod and speedlight or even have one. This particular article describes techniques that may help photographer to shoot handheld. Sometimes one cannot add light / use tripod / etc. I specially wrote “when nothing else can help” in my previous comment. Relatively portable tripods are manufactured by a number of companies, such as MeFoto and Sirui, for examples.If you want something that is even more portable, or affordable, than portable full-size tripods, you can try something like the Manfrotto Pixi Evo Mini Tripod, for example. You will need to place it on a table or on the floor / ground, though. Trying to shoot with one of these on the ground, while you compose as you lay flat on the ground, can even give you a new, interesting, perspective to shoot from. Speedlights are very portable and affordable (particularly if you don’t buy an OEM flash), so this ought not to be an excuse, either. A good, and certainly great, photographer, finds a way to nail the shot. They don’t make excuses. Oh, you are so serious and idealistic. I own rather light (1,3kg) Q666C tripod, some mini-tripods (Pedco UltraPod II among them) and SB-600 speedlight. But usually I go out walking with small 13l backpack or travel without car with 30l one, so prefer to carry specific equipment at my shoulders only if I plan using it. So usually I carry mini-tripod, and take speedlight if I know that I’ll use it. Big tripod stays at home 99/100. And I’d better pack additional 1,3kg of 80-200/2.8 giving me chances to get more cool shots than a tripod. And I surely will shoot bursts if I need to, because I always carry burst-able body with me. FF DSLR with couple of lenses which I usually use exceeds the average weight that usual light traveller prefer to carry. Surely I can pack equivalent mirrorless set and save some space-weight for a tripod, but don’t want to potentially lower image quality for 90% of shots and I don’t want to waste money on extra equipment. Life is full of compromises, so we must deal it. That article was originally written in 2009 (check the date of the first comment), so I wonder if Nasim would still give the same advice today. For example, Nasim recommended shooting in aperture priority, not manual mode. I wonder if he would still say the same today. Spray and pray is used in bird photography in order to get a good number of poses and wing positions to choose from. Mike, bird photography, as well as action photography, is a different application than what Vladimir was describing. Utilizing burst mode to capture a moment in a fast sequence is different than spraying and praying for an image that’s not blurry. I set Everything on my cam like described here at PL. www.pentaxforums.com/revie…ction.html – I really recommend this tutorial – it shows more “advanced” techniques of stabilisation and reaching longer exposures with handheld camera. For canon photographers setting the drive mode to silent or silent continuous significantly reduces the mirror induced vibration. I can often achieve tack sharp images at 1-2 stop slower shutter speeds. Also, something important when shooting in portrait mode: With no hand to hold and support the camera opposite to the shutter button, pressing that button in portrait mode unavoidably gives you rotary camera movement. The solution is to put on a battery grip and press the grip’s shutter button instead. Then you’re again pushing downward, against the support of your other hand. Yes! One of my first lessons from a great mentor, Russell Lee (en.wikipedia.org/wiki/…tographer)), was how to hold a camera. And you added some new to me ideas! Well done! and Thanks. Also, thanks for the sticky stick for cleaning my sensor. I noticed that in every picture above the left elbow is tucked in to the left side of the body for stability, a technique recommended since the dawn of the SLR and I certainly agree with; then Nikon moves the zoom ring to the front of the 70-200/2.8. Quelle horreur! Well waddya know. I tried your method and it’s not bad. So just curious, when you hold the camera to your eye (using viewfinder), do you all lean the camera on your face, forehead or nose or do you hold the camera an inch or so from your face? I hope that makes sense. I generally do have a camera contact point somewhere on my face to help add stability and reduce camera shake. Exactly where that contact point is depends on the camera and what type of grip I’m using. For those like me who don’t have incredibly steady hands, I find it does make a difference. A technique I’ve used that really helped me is sometimes referred to as a “machine gun grip” or “elbow tripod”. There are a number of variants, but this technique used with a 300mm AF-S F/4 and 1.4tc has given me more than 1.5 stops of improvement vs. the traditional approach. If there is a way to post a photo of the grip on this forum, and someone would like me to do so, let me know. But I will try to describe it verbally below. A couple caveats: This technique does not work for my friend who has very thick, muscled arms. It also does not let you zoom or switch to manual focus while shooting, so it’s usefulness depends on the situation. – Turn your head to the left as far as is comfortable (don’t strain at all). – Put your left arm in front of you, parallel to the ground. Bend your elbow, which should be in front of your face around chin level. – Put your right arm, which is holding the camera, under the left arm. 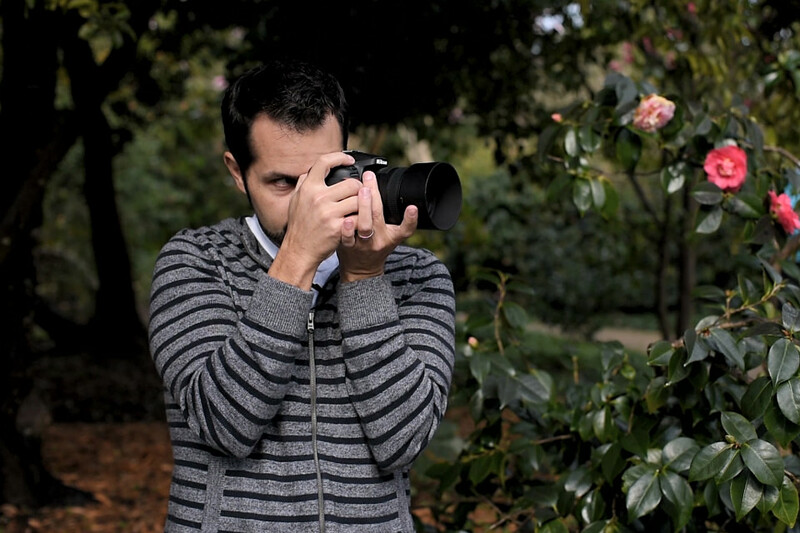 Rest the lens on your left arm between your shoulder and your elbow, wherever is comfortable. – Depending on what’s most comfortable, stabilize the left arm either by placing your hand on the right shoulder (best for a short lens), or by resting it on your right forearm (for a longer lens). – Leg position is the same as what you would typically use for hand-holding – left leg forward, right back, etc. It sounds complicated, but it takes me perhaps a second longer to get in this position vs. the traditional technique. And repositioning or panning the camera is very smooth and stable since you are using your torso to shift position. Hope this proves helpful to folks! I use this stance also with 300mm, feels pretty comfy to me.